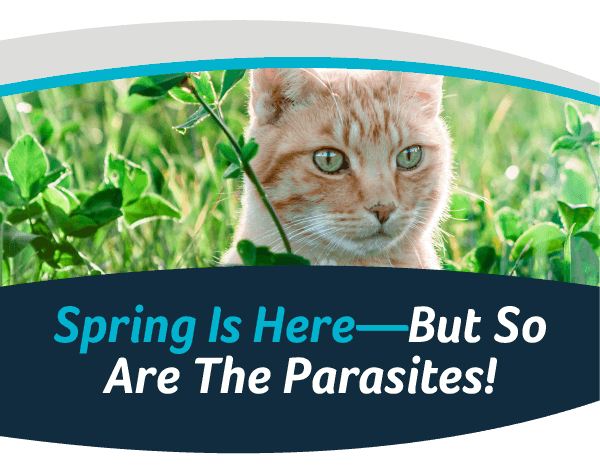 Your pets are much more likely to encounter fleas and ticks in the spring and summer, as these critters thrive in warmer weather. Don’t overlook the problems these pests cause: fleas can trigger hot spots and dermatitis, and tick bites can transmit several dangerous diseases. During this time of year, you should thoroughly check your pets for fleas and ticks on a daily basis. This can be done while you are playing with your best friend or grooming them. Although fleas and ticks can be anywhere on your pet’s body, they prefer posting up near the head, ears, neck and paws. You can spot evidence of fleas if you notice little black specks that resemble pepper or bits of dirt. Preventive medications are the best way to keep fleas and ticks away from your pets. If you’re not sure which preventive medications are right for your pets or would like to discuss a proper course of action, schedule an appointment with us today online or call us at 425-242-4057.